Electric cars are more than a novel means of mobility. They have been recognized as an essential building block of the energy transition. Fulfilling their promise will imply a significant change in the technical, digital and social dimensions of transport and energy infrastructure. If you are interested in learning about the state-of-the-art technology behind electric cars, then this is the course for you! This course focuses on the technology behind electric cars. You will explore the working principle of electric vehicles, delve into the key roles played by motors and power electronics, learn about battery technology, EV charging, smart charging and about future trends in the development of electric cars. 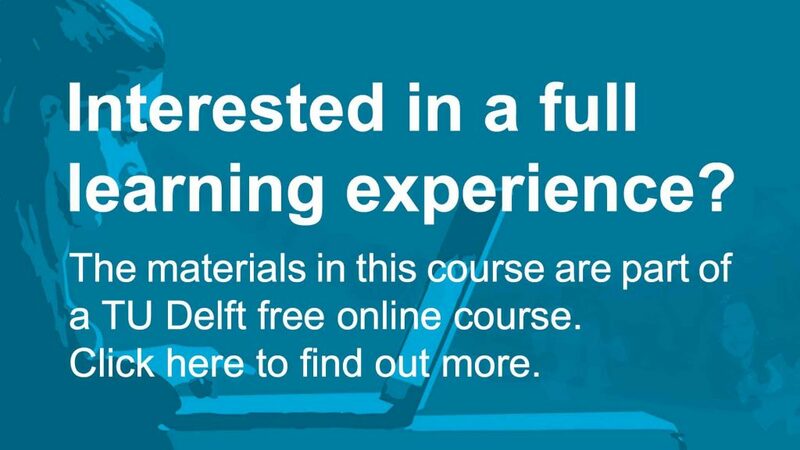 This course was co-developed by Dutch Innovation Centre for Electric Road Transport (Dutch-INCERT) and TU Delft and is taught by experts from both the industry and academia, who share their knowledge and insights. Join the course and be prepared for the upcoming developments amid the transition to electric vehicles! This course is part of the Professional Certificate Program Electric Cars. Module 1. How does an EV work? Electric Cars: Technology by TU Delft OpenCourseWare is licensed under a Creative Commons Attribution-NonCommercial-ShareAlike 4.0 International License. Based on a work at https://online-learning.tudelft.nl/courses/electric-cars-technology/.